A country with a population of nearly 9 million people Austria is consistently ranked as one of the richest countries in the world and gifting flowers is a tradition here that cannot be ignored. Always remember to send an odd number of flowers (except for 12) as even numbers are considered bad luck. It's a culture for the gift to be exclusively wrapped & expect the gift to be unwrapped immediately upon receiving it. Flower gifting in Austria occurs between close friends and family on their birthdays, anniversaries and Christmas Eve. Beautiful Gentian, Alpine Carnation, Arnica, Alpine Rose, Heather and Hyacinth are most gifted flowers there. Send flowers same day to Austria using our local florists & flower shops. Order by 12 noon. Send Mother's Day Pink Roses, Lilies, Carnations & Special Gifts to Austria. Send Roses, Carnations, Lilies throughout Austria for occasions like Birthdays, Anniversaries, Funerals, etc. Enjoy affordable flower delivery across Vienna, Linz, Graz, Salzburg & nationwide delivery. How do i send International Flower Delivery to Austria? 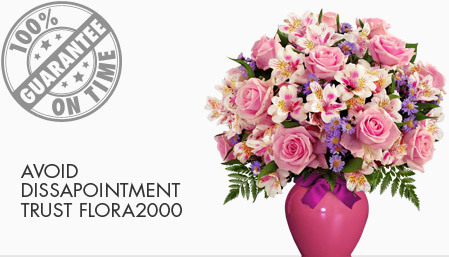 Flora2000 has transformed International flower delivery to Austria into a fine and effortless art. With our efficient flowers & gifs delivery services worldwide; you are sure to find the perfect expression of your message to your loved ones. Be it Roses, Lilies, Carnations or Cakes, our gifts are sure to make both the sender and the receiver happy. We make sure the gifts you give reflects what you feel about the receiver. People in Austria, love to open gifts as they receive. gifting flowers in odd numbers is considered to be lucky, except for the dozen. wine, pastries, chocolates, brandy, whisky and perfumes can be gifted while visiting someone in Austria. 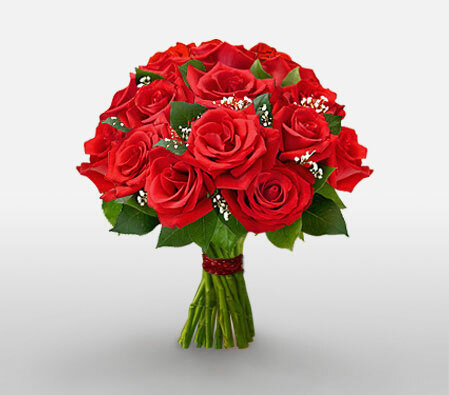 Red roses are given to express their love & romance. red carnation represents the symbol of an official flower of the social democratic party. they do not believe in business gifting but come prepared in case a gift is presented to you. preferred business gifting can be desk attire, books, music, and a regional or country gift. avoid giving personal gifts, gifts with sharp edges, gifts with company logo (unless very subtle) or a very expensive gift. Austrian's has many special Christmas customs of its own. During Advent, many families will have an Advent Wreath made from evergreen twigs and decorated with ribbons and four candles. On each of the four Sundays in Advent, a candle is lit and a carol or two might be sung! Handpicked Unique Gift Ideas for Mom. Fresh Roses, Lilies, Carnation & Gift Hampers specially crafted for your mum. Order NOW for guaranteed delivery on Mother’s day in Austria.